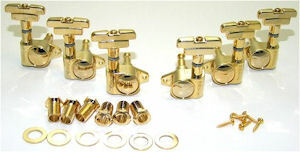 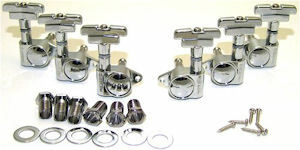 Based off of the Grover Rotomatic Imperial design, the Wilkinson "Roto" tuners are more than worth their price. For even more accurate tuning, these are the newer version with a 19:1 Gear Ratio. They are made for 3 Per Side Mounting, and require a standard 10mm Hole for mounting.